A key ingredient that makes FDCs so unique, yet complex, is the mandate to serve families by supporting and healing the parent-child relationship. FDCs that are not thoughtfully serving families in an integrated and coordinated way may be hindering their long-term recovery, stability, and success. 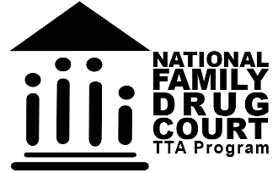 This webinar presentation outlines five reasons why Family Drug Courts should be about serving families and highlight the key components of a family-centered service delivery approach. A Discussion Guide along with some activities are provided to engage your Team in further discussion and take the next steps to increasing your FDC’s capacity to serve families. Our families deserve our best efforts – let’s learn to help each other do that! Governance Structures & Leadership – Is Your FDC Built to Last or Left to Fade?